With Easter just a few days away, Aldi has a great selection of roasts, from duck and turkey, to beef and pork, ensuring you’ll have a great Easter. 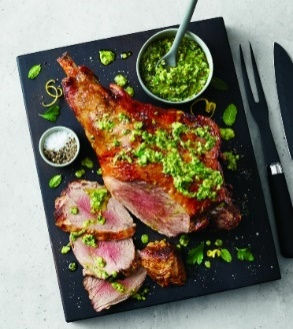 For a memorable centrepiece, enjoy Aldi’s beautifully presented Whole Leg of British Lamb, £4.49 per kilo. The succulent and tender join is on sale now, and can goes great with Specially Selected Mint Sauce with Balsamic Vinegar of Modena. Aldi also has another lamb joint, the Specially Selected Lamb Shoulder with Redcurrant Glaze for £8.99 per kilo. The tender British lamb comes with a sweet red currant, cranberry and port glaze. If you’re not a fan of lamb, Aldi has a cook in the bag Duck Crown, £4.99, for a sophisticated and effortless Easter main. The sealed, ready-to-roast bag lets you lock in the flavour of this hand-prepared British duck crown for a deliciously tender dish. Or if you fancy something a bit different, Aldi is also selling a British turkey crown, which is also suitable freezing if you’re planning your Christmas early. Aldi also has beef and pork roasting joints, £4.95 per kilo and £3.29 per kilo. Both are sourced from British farmers, and are on sale from today. Aldi also has a Specially Selected Prime Gammon Joint for just £3.29, perfect for Easter, or for making sandwiches with after, and is available in smoked or unsmoked. Aldi has also cut the prices of its Easter eggs, as well as veg prices. Parsnips, swedes, leeks, carrots, and cabbage are just 19p, and potatoes are only 25p.